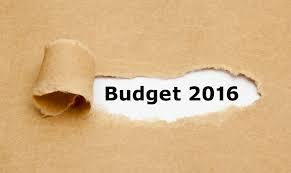 What’s in 2016 Federal Budget for Your Company? You may have heard in the news about the new federal budget. The budget covers dozens of areas and we’d like to really focus on key budget items that result in direct financial support to Canadian businesses. 1. Industrial Research Assistance Program (IRAP) to fund research & development activities. 2. Canada Job Grant to fund skills training. 3. Youth Employment Programs across the country and industry sectors to support hiring graduates and coop students under 30 years old. 4. CanExport program to support export marketing activities. 5. Automotive Innovation Fund to fund commercialization of automotive technologies. 6. Sustainable Development Technologies Fund to support commercialization of clean technologies. Proceed now with your applications by simply replying to this email or calling us. P.S. According to the federal budget we expect some new programs that support research and development and so-called “high-impact firms”. There is no definition of those firms just yet, and I will let you know as more information comes. Click on the social media buttons on your left to stay tuned!